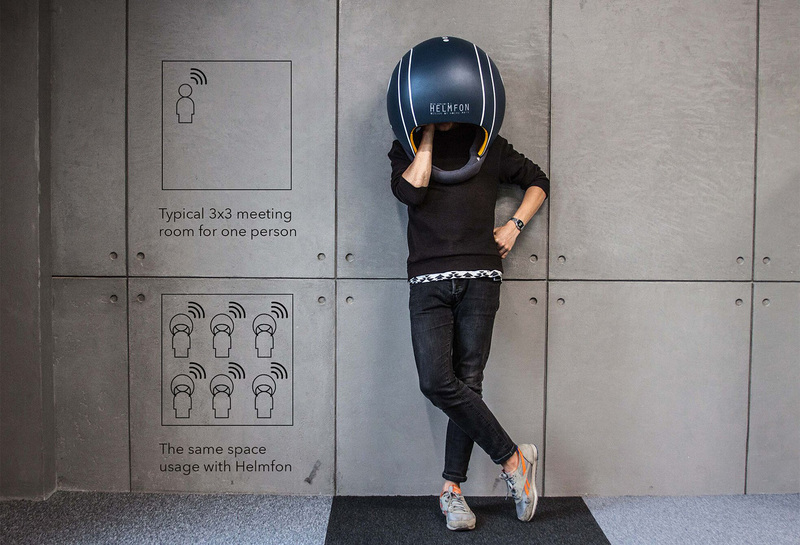 Helmfon – a unique device which fully blocks outside and inside sound waves Helmfon is a device in a form of helmet, which thanks to the system of active sound absorption allows to concentrate in open working spaces. 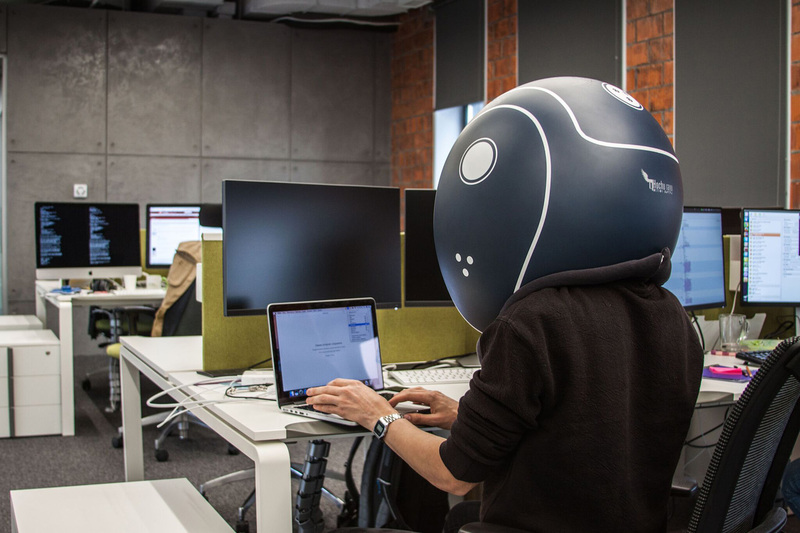 Because of the special absorption features, this helmet fully reflects the ou tside sound waves and thus makes the process of working comfortable, with no outside noise. 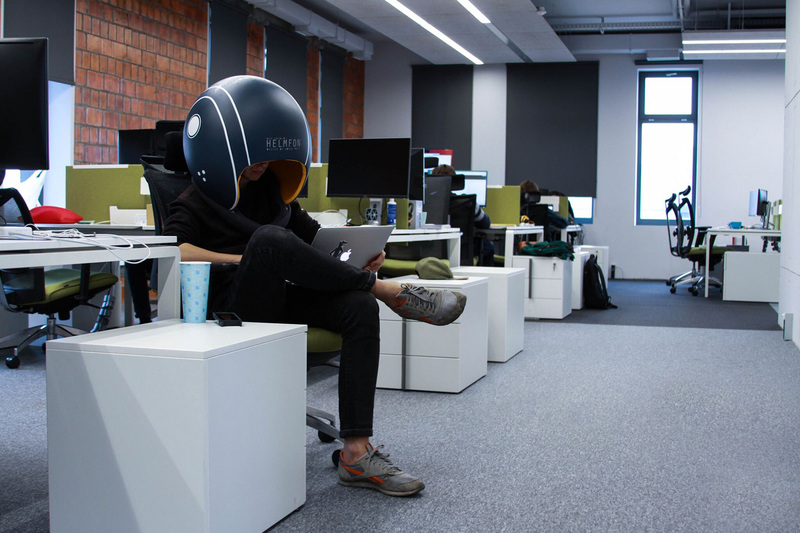 In addition to it, the helmet blocks the Helmfon noise to outside surroundings and thus people, who sit near the Helmfon user don’t experience any discomfort of hearing unimportant sounds. 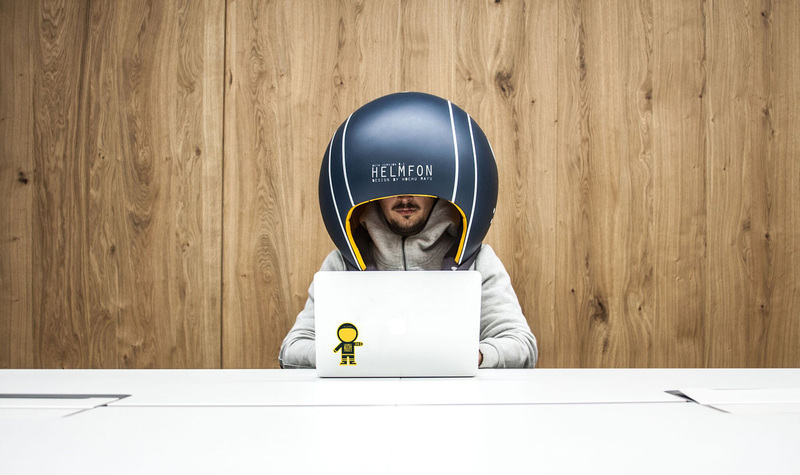 Helmfon was designed and developed by Ukrainian design company Hochu Rayu, whose main idea was to create a tool, which helps to fully concentrate on working project, get some personal space and doesn’t allow off ice noise kill person’s productiveness. Bold colors of Helmfon production line allow to make the office look fun and standing out. 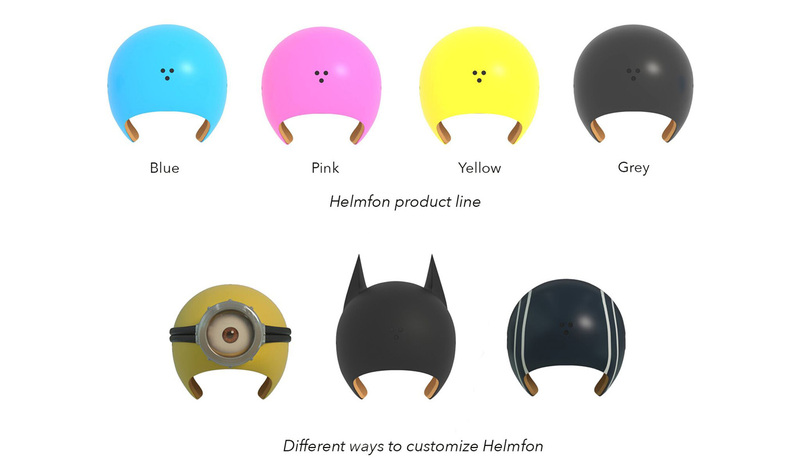 Moreover, the company offers an option to customize Helmfon. 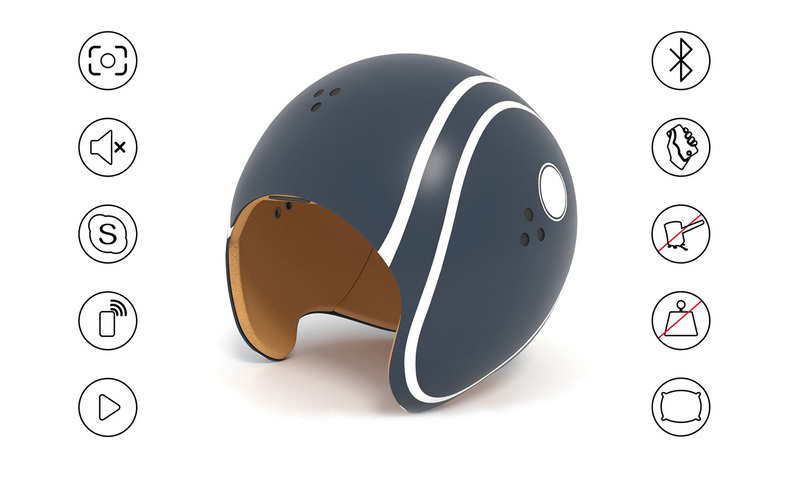 The unique helmet, specially designed according to the client ‘ s wishes will make the person look and feel like his/her favorite superhero in a real life. 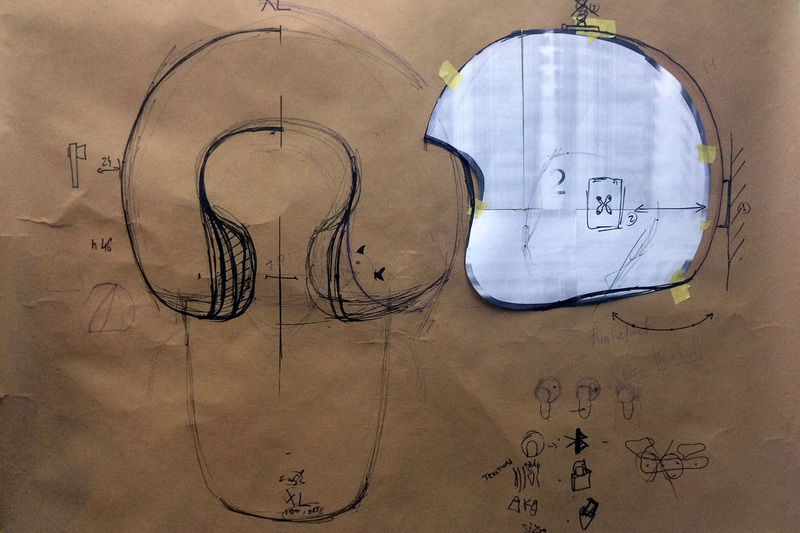 The main materials are: nitro paint, outside case – glas s fiber, inside- membrane cloth with foamed polyethylene stuff. Helmfon is equipped with system board, microphone, speakers, accumulator, magnifier and special inside place for the smartphone. Thus it allows to watch movies and videos, organize Skype conferences, answer or make calls, watch or edit photos or add some personal functions. 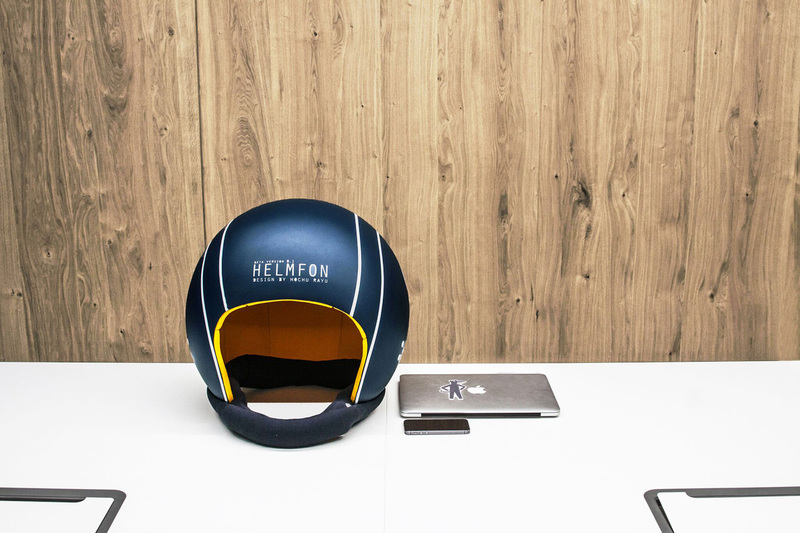 Helmfon is also a perfect way to economize the working space. Instead of organizing the meeting room, where only one person ca n communicate (oraganize skype calls, cell calls, VR sessions etc. ), Helmfon gives an opportunity to save the office space. 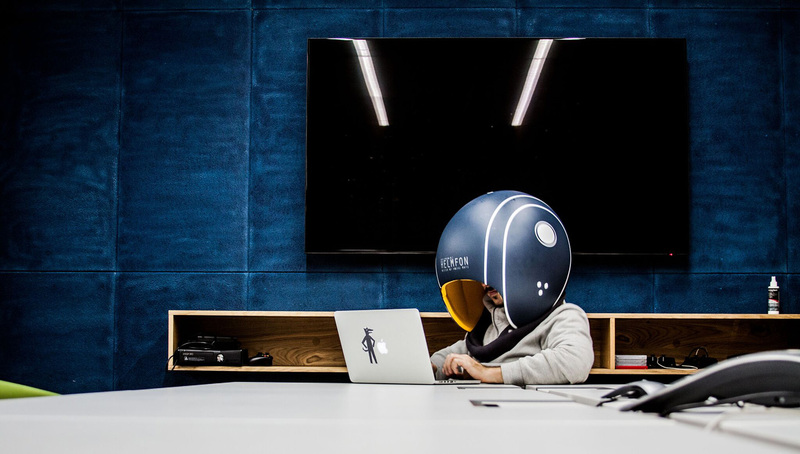 Thanks to helmet special sound absorption functions there is no need in organizing meeting rooms for online communication anymo re, every person can do his/her communication work just sitting in his/her Helmfon.